Docents are volunteer educators who use easily handled animals and biofacts to share information with zoo visitors to help them develop an appreciation of animals, their environment, and the delicate balance between them. What else do Docents do? They participate in the Education Department with tours, Zoo Mobiles, classes, Zoo Adventure Camp, animal presentations, special events, and much more! Training is required. You must be 18 or older to qualify for either program. If you have any questions or would like additional information, please contact the Curator of Education at (254) 750-8451. Be a qualified voter at the time of appointment. Must not have been convicted of a felony or misdemeanor crime of moral turpitude for which he/she has not been pardoned within the last 10 years. Must not have been removed from a board or commission because of failure to attend meetings within the last three years. Boards or commissions that are mandated by statute do require city residency; however, boards or commissions that are advisory in nature do not require city residency. To volunteer, schedule visits or for more information, please call Nora Schell at 848-9654. Take Hwy. 6 west across the Twin Bridges, turn right on FM 185, go ½ mile, turn left on Eichelberger Crossing. OR Take N. 19th St. (China Spring Rd., or FM 1637), turn left on FM 185, go about 3 miles and turn right on Eichelberger Crossing. From either direction, go down 1½ miles on Eichelberger Crossing, Wetlands are on the right, parking is through Gate 2. The City of Waco is actively recruiting a diverse group of volunteers to enhance the Waco & Heart of Texas visitor experience by being friendly, available, and knowledgeable about events, restaurants, hotels and more. This new group will be called the HoT Line. 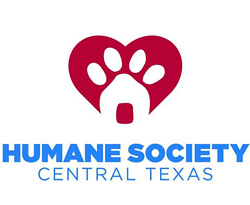 If you are interested in being a HoT Line volunteer, please complete the application form and return it to Susan Morton by email to susanm@ci.waco.tx.us or by fax to 254-750-1694. The Citizens Police Academy is an educational program designed to give the public a working knowledge of the Waco Police Department's personnel and policies. The academy consists of a series of classes held one night each week for 2 1/2 hours. The instruction is comprehensive, covering a different area of the police department each week. The Citizens Police Academy is held in the Spring and Fall. The class meets every Thursday for 15 weeks. The academy covers a wide variety of topics, such as Criminal Investigations, Patrol Operations, Communications, Crime Prevention, Courts and their functions, Defensive Tactics and Firearms Training. Instruction in these and other topics consist of lectures, demonstrations, tours and hands-on activities. To ask questions, call (254) 750-1764. Victim Services is a unit of the Waco Police Department. This program was developed in order to serve the needs of victims/witnesses and their families. Our primary function is to provide on-scene crisis intervention. Staff is on-call 24-hours a day, 7-days a week. The unit provides on-scene crisis intervention, death notifications, victim education, follow-up contact, assistance with Crime Victims' Compensation and Victim Impact statements, criminal justice advocacy, legal advocacy, court accompaniment, and assessment and referral services, as well as other pertinent victim needs. In order to meet the extensive needs of our community with such a small staff, we utilize specially trained volunteers. Volunteer Crisis Teams work various shifts 7 days a week. These teams respond to a wide range of calls such as: homicide, suicide, accidental death, robbery, sexual assault, family violence, as well as others. Volunteers are trained to assist with death notifications, provide crisis intervention and education, and other relevant services. We currently have 30 qualified Crisis Team volunteers. Victim Services volunteers are required to successfully complete approximately 35 hours of classroom instruction, 20 hours of patrol ride observation, and two supervised Crisis Team shifts. Classroom instruction includes topics such as: death and dying, death notifications, homicide, suicide, sexual assault, crisis intervention strategies, victim issues, as well as a wide range of other topics. In order to qualify for graduation, volunteers are also required to perform successfully in a role-play examination. The Victim Services Crisis Team Training Academy is 4 weeks long. Waco Police Department Victim Services volunteers are highly trained and committed to assisting and serving members of their community whose lives have been touched by a tragic event. These are exceptional individuals who are not only interested in their own personal growth through both formal and experiential learning, but they are also willing to share their time, talents, and insights in order to help others. The Waco Police Department Crisis Team Training Academy is held periodically as needed. A background check is required for all applicants, which includes criminal history, employee background, and references. Individuals who pass the screening will be invited to the orientation night. Top applicants from the orientation will then be invited to attend the 4-week academy. Individuals interested in applying for a position as a Volunteer Crisis Team Member should call (254) 750-7526. If you are interested in being part of the Citizens on Patrol, the City of Waco Police Department has training sessions scheduled. Citizens On Patrol is a volunteer program, designed for citizens to take an active part in patrolling their neighborhood and other areas of the city. Citizens will be provided with training, equipment and identification. For further information, call (254) 750-1764. To apply, visit the Citizens on Patrol page. You must not have a criminal history in order to participate. Local government prepares for everyday emergencies. However, during a disaster, the number and scope of incidents can overwhelm conventional emergency services. The Community Emergency Response Team (CERT) program is an all-risk, all-hazard program. This valuable team of volunteers is designed to help you protect yourself, your family, your neighbors and your neighborhood in an emergency situation. Citizen Corps partner programs share the common goal of helping communities prevent, prepare for, and respond to emergencies of all kinds. Waco-McLennan County Fire Corps operates under the supervision of the Waco-McLennan County Office of Emergency Management. For more information, contact Sean Taylor, Asst. Emergency Management Coordinator, at (254) 750-5911. Requirements: Attend appropriate training, be at least 18 years of age, have a valid driver’s license and proof of insurance and pass background checks. Requirements: at least 18 years of age, valid Drivers License, volunteer orientation. Every day, the American Red Cross Blood Services provides life-saving blood to thousands of Texans. You can help ensure that blood is available whenever and wherever it is needed. Big Brothers Big Sisters is a donor-supported volunteer organization that places caring adults in the lives of children in professionally guided one-to-one mentoring relationships. There are currently over 85 kids in Waco waiting for a Big Brother or Big Sister. We need you to get involved, help us spread the word and ask our community to step up and take responsibility for making sure each of these great kids gets the support they need. What if every boy in Waco had a MAN to look up to? What if every student graduated high school BEFORE becoming a parent? These questions are not just a marketing campaign, they can be a reality. But only if we have volunteers who are willing to get involved and make a difference. Spending just a few hours a month with a child gives the invaluable gifts of friendship and a positive adult role model. By simply offering a new perspective of what the world, a Big Brother or Sister can start changing their Little’s life. It’s as easy as playing a video game, going to a baseball game, visiting a museum, or just hanging out together. Community-Based mentoring is the traditional Big Brothers Big Sisters relationship, where volunteers and children get together on their own to share fun activities they both enjoy. Getting together is a great time for both of them that doesn’t require a special occasion or expensive activities. It just takes a few hours each month to share the simple things you already like to do such as shooting hoops, playing a board game, sharing a pizza, taking a walk in the park or simply hanging out and talking. In our School-Based mentoring program, volunteers and children meet for one-to-one mentoring in the classroom, school library, lunch room or other set location. They typically meet once a week to read together, play sports or computer games, or simply talk about life and personal issues – just as friends do. As a Big Couple, you and your spouse can both become mentors to a child in our program. You can all do things together or you can each share time with the child individually. This is a great way to spend time together while also changing the life of a child. And, the child benefits from having a Big Brother and a Big Sister at the same time! As a Big Family, your entire family is involved in your match to a child. That means your spouse and kids can all share time with the child in our program. By including the child in the things that your family already does together, he or she will get to experience the dynamics, experiences and fun involved in a traditional family atmosphere. Requirements: Under 16 have to be accompanied by a parent. Duties: Stocking shelves, dusting, cleaning, light clerical duties. What we do: Each volunteer speaks up for the needs of a child placed in foster care because of neglect or abuse at home. Requirements: Age 21, complete 30 hours free training, Drivers License, proof of auto insurance, Pass background checks. The Department of Veterans Affairs Voluntary Service (VAVS) program is one of the largest volunteer programs in the federal government. Our mission is to enhance the Veterans’ healthcare experience through utilization of volunteers and donations. The generosity of a volunteer’s time allows us to provide many of the additional necessities that otherwise cannot be accomplished by the paid staff on a day-to-day basis. Enrich provides services that support seniors by helping maintain independence as well as enrich their quality of life. Our services are made possible by dedicated volunteers, donors, and grants. We currently serve McLennan and Bosque counties. Drive a Senior to a doctor appointment, Grocery Shopping, Mow a yard, Household Repairs, Call to check on a Senior, Visiting in Nursing Homes or Residential Home, and Help during the holidays. Need to fill out volunteer application, Criminal Background check is required. Requirements: Must be 18 to work in the shelter, 16 to work in the thrift store (unless accompanied by a parent), and need to complete volunteer application along with orientation training. The Family Abuse center provides shelter to victims of domestic violence. They are a crisis center oriented program providing temporary emergency services. Ongoing services include individual counseling, job training, housing options, parenting and group counseling for residents and non-residents. Volunteer Opportunities: children's group, special events, 2nd Chance Thrift Store, clerical, child care. Friends for Life helps the elderly and adults with disabilities live independently longer and improve their quality of life. Providing care for those who can no longer care for themselves. Duties: Cleaning out kennels, walking dogs, cleaning building, or office work. Belles and Beaus are assigned to a house according to grade level. 8th--Earle-Napier-Kinnard, 9th & 12th--East Terrace, 10th--McCulloch House, 11th--Fort House. Students are trained over historical details of their assigned house and participate at Christmas on the Brazos by dressing up and greeting the public (as well as answering questions about the house). For more information or an application form please call (254) 754-8140. For information about membership to the Historic Waco Foundation please call (254) 753-5166. Requirements: 18 or older. Closed-toed shoes and pants. Orientation is held every second Thursday of each month at 4 pm at the shelter. Duties: Cleaning out kennels, walking dogs, playing with cats, filing, helping with mail-out, and normal maintenance. The MCC Adult Education Program provides basic education for out-of-school adults in reading, writing, and math. GED preparation and classes for the Competency Based High School diploma are also provided as well as English as a Second Language. Classes are offered in over 45 sites in the four counties of Bosque, Falls, Hill, and McLennan County at convenient times and locations. Classes are free with the exception of the high school diploma program and workplace literacy sites. In 2002 the program was awarded the United States Department of Education Secretary's Award for Outstanding Adult Education and Literacy Programs. Meals On Wheels is a nutrition program for homebound older adults. Volunteers delivered the meals during the work week; it takes about ONE hour between 10:30-11:30 am. Volunteers also deliver pet food to clients who cannot afford to purchase food for their pets. Pet food is delivered on the volunteer’s own schedule. As group activities, volunteers can package emergency meals, and bag dog food. To learn how you or your organization can get involved, please contact us today! What we do: Methodist Children’s Home offers hope to children, youth and families through a nurturing, Christian community. Founded in 1890, MCH is a nationally accredited, non-profit childcare ministry that provides the highest quality of care and facilities for children and youth. Today, MCH serves more than 1,400 children and youth daily through residential programs on the Waco campus and Boys Ranch, and through foster care, transition services and a variety of family outreach services in communities throughout Texas and New Mexico. Volunteer opportunities available: Direct care opportunities include the following: mentoring, tutoring, and participating in Bible study, recreation, and athletics. Other general opportunities are available for those under 21 years of age and for group volunteers. Requirements: For direct care opportunities, volunteers must be at least 21 years of age. All volunteers are required to complete an application, pass a criminal background/child abuse registry check, and have a valid driver’s license and proof of auto insurance. Requirements: There is no age limit. Need to wear clothes to get dirty in. Need to fill out a volunteer application. Just two or three hours a week can make all the difference in someone’s life who struggles with poverty or other issues. You can tutor low income children, share a devotion with the homeless, cook/serve a meal, help folks with computer or job skills, work with children in the housing projects, send mailouts, mentor a child with an incarcerated parent, and numerous other tasks which all contribute to rebuilding healthy lives. Duties: Sorting, hanging, loading, unloading, cleaning, etc. The Texas State Guard (TXSG) is the second branch of the Military Forces of the State of Texas, operating alongside the Texas National Guard, which is comprised of the Texas Army National Guard and the Texas Air National Guard. The TXSG provides mission-ready volunteer military forces, to assist state and local authorities in homeland security and community service. Texas State Guard soldiers are volunteers between the ages of 17 and 60, and train a minimum of one weekend each month. All serve without pay except if called upon for State Active Duty by the Governor. Requirements: 18 years of age or older. Need to attend volunteer orientation. Waco Center for Youth is a residential treatment facility that serves teenagers, ages 13 through 17. Unit and Education Volunteers are needed as well as in reception and other administrative areas. Please help Waco Center for Youth give youth a chance for change. Requirements: Need to at least be in High School. No specific attire.